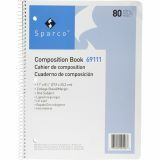 Sparco One Subject Composition Book - Back To School! 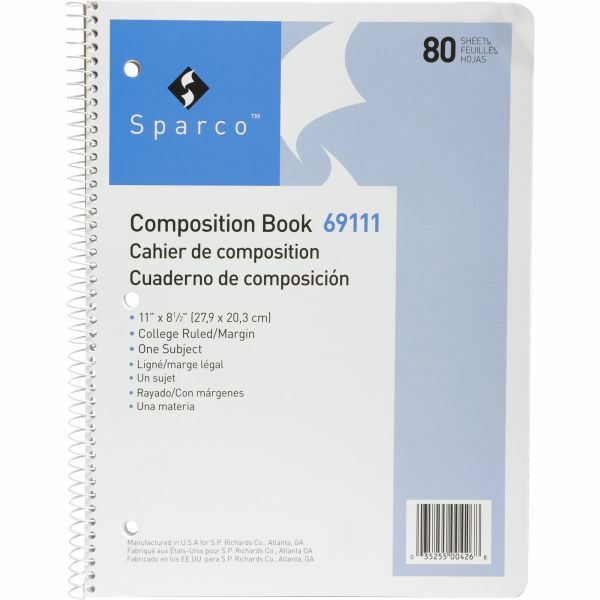 Composition book features college-ruling, 16 lb. white paper, rigid covers, and spiralbinding. Punched with three holes for use in binders.